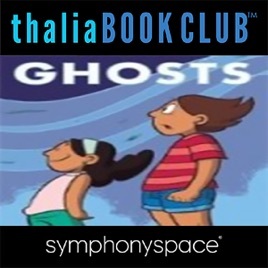 The number one New York Times best-selling author and illustrator of Smile, Drama, and Sisters comes to Symphony Space with her latest graphic novel, Ghosts. Two sisters move to a new town only to learn that it's haunted - and the time of year when ghosts reunite with their loved ones is fast approaching! Fans of Raina Telgemeier will love this stunning and supernatural story!